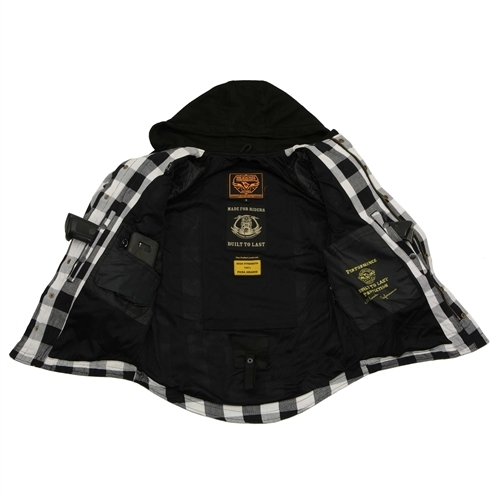 This motorcycle jacket is great for any season. 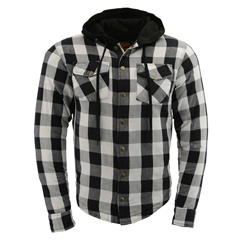 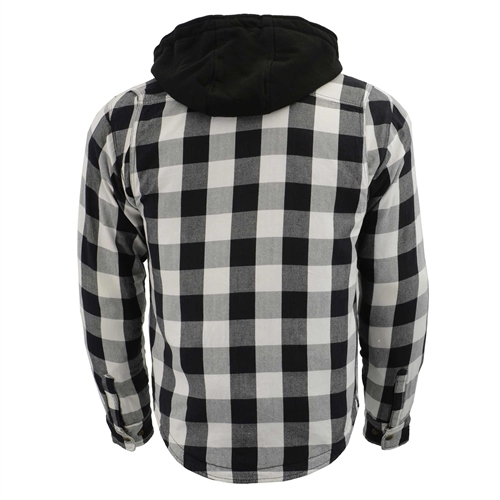 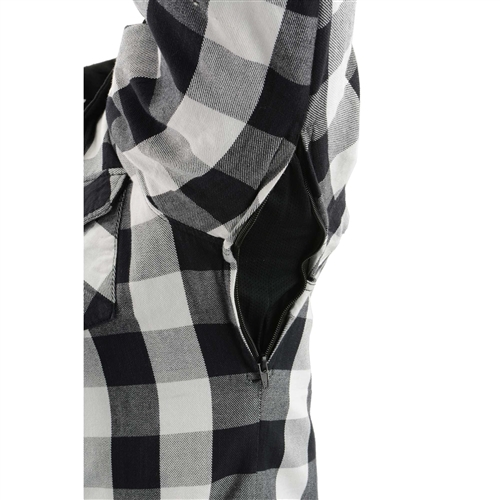 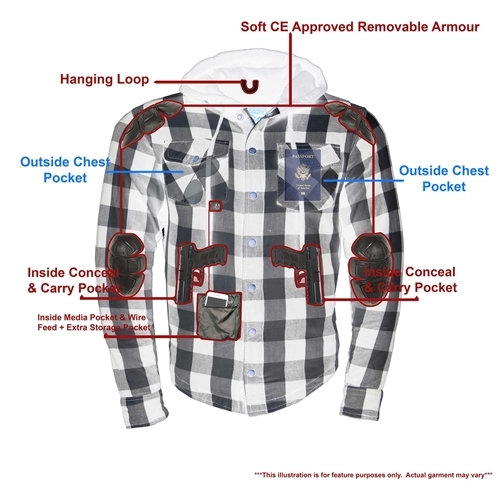 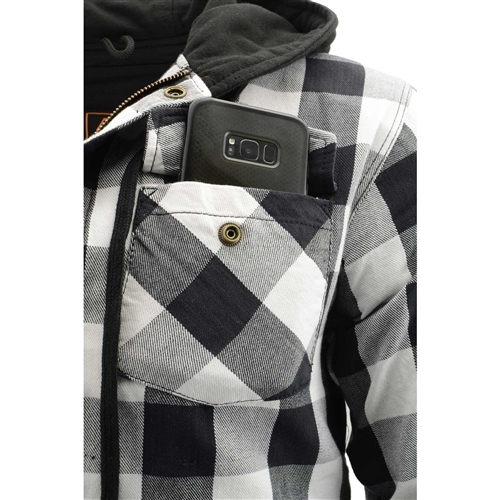 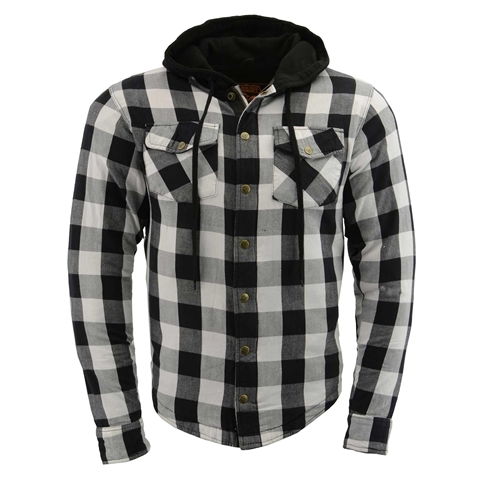 Durable, lightweight men's plaid flannel shirt with body armor protection, snap and zipper close front and made from a lightweight cotton blend with Aramid fibers perfect for riding in warmer weather. 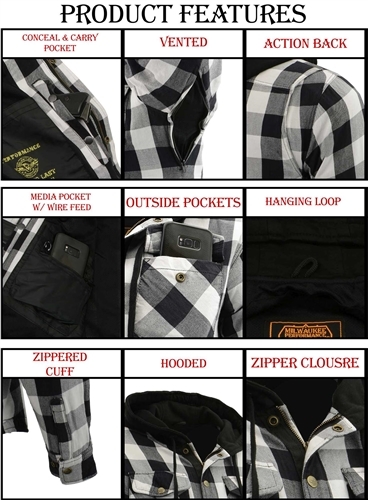 Casual style jacket can be worn both on and off the bike, engineered to resist tearing and abrasion.